So we joke about buying a hot tub from Costco, among other things. This past week, we joked about buying hot dogs and then I thought, why not? They are easier and small to store and if we buy a hot dog machine, it would be easy to heat up. 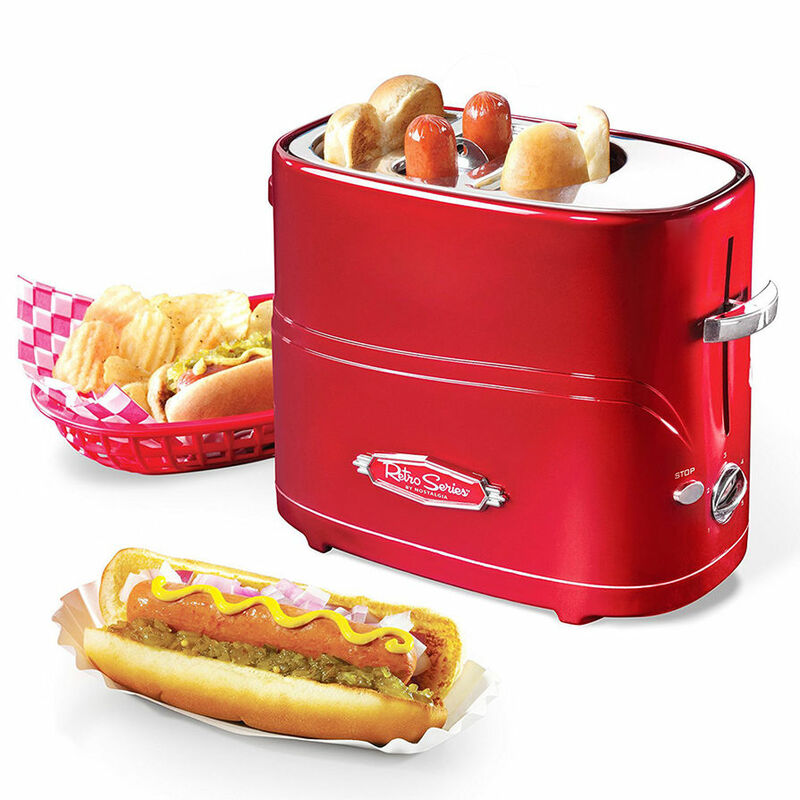 So I Googled for some hot dog machines and found a slim hot dog toaster that can do 2 to 10 dogs and buns at a time. We got the two hot dogs and buns model from Amazon (affiliate link) for about $25. I used it today and the dogs are pretty good and make for a very quick lunch. The toaster heats the dogs to a very good tasting temperature and it only takes a few minutes. Now I need to work on getting a soda fountain machine installed at the office, so far all my research leads me to believe we need at least 50 employees, about double our size, to make it worthwhile.